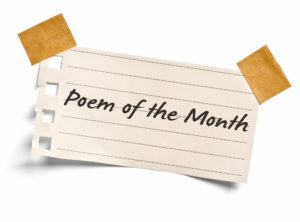 Poem of the Day, April 23: Van Gogh’s Night, James L. Foy | Welcome to the new Journalverse! Jim Foy was an esteemed scholar and professor of psychiatry at Georgetown University School of Medicine for nearly forty years. He mentored two generations of medical students, including my dear poetry therapy colleague, psychiatrist Steve Rojcewicz. And that is how I knew Jim, through my friendship with Steve and the larger Washington DC poetry therapy crowd, which includes both of my own beloved mentors, Dr. Peggy Osna Heller and the late Dr. Ken Gorelick. Jim was an early advocate of medical humanities and patient-centered reforms in medical education, introducing elective courses and seminars on medical-related fiction, plays and poetry, often by physician writers. 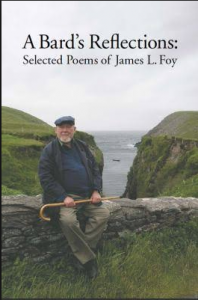 A published poet, his work appeared in Blood & Bone, a 1998 anthology of American and British physician poets. He made frequent visits to Ireland, where he studied the Gaelic language and translated ancient Irish poetry and wrote poetry on Irish themes. With an international group of poet friends (including Steve, Peggy, Ken and a renku master, Tokyo’s Hiroshi Tamura), he experimented with linked haiku poetry in the Japanese renku style. Jim passed away in 2014 at the age of 88. In the months prior to his death, Steve Rojcewicz and Peggy Heller worked tirelessly to curate and publish this collection of his poems, which Jim was able to enjoy in his last days. Where cypresses cling to the hillside. And all the fires of this starry night. Choose an artist. Either write a poem about the artist him/herself, or choose a specific piece and write about it in prose or poem.